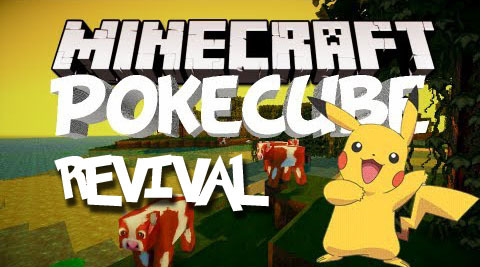 Pokecube Revival Mod 1.12.2 is the revival of the venerable Pokecube Mod, last released for Minecraft 1.6.4. Originally made by Manchou, Updated and Heavily modified by Thutmose. Pokecube Revival Mod adds pokemon to minecraft, in a way which is designed to fit the minecraft environment. The Pokecube Sounds is just a resource pack containing the sounds, it is uploaded separately to streamline the bug fix updates for the main mod. The sounds will not change, hence are labeled as a release, despite the main mod being labeled as alpha. Pokecube was Freely inspired by the Nintendo franchise ?Pokémon’ and the video games developed by Game Freak. Download Pokécube Core and Origin and Pokécube Sounds. Drop the .jar files into the mods folder. Drop the .zip file into the resource packs folder. Run minecraft and select the Pokécube Sounds resource pack.